We can help with Drug Crimes and Possession Charges in Fort Worth. If you have been charged with Drug Crimes, give us a call. I’m Patrick Curran, a Fort Worth drug crimes attorney with more than 25 years of experience. It is my expertise of protecting people facing misdemeanor or felony drug crime charges. My law practice is 100% devoted to criminal charges in Texas state courts. If you’re facing felony or misdemeanor charges of drug sales, drug distribution, possession with intent, or any other drug crimes, give us a call ASAP. I have handled thousands of drug cases over the years. I know drug cases inside out and I also know how to fight a conviction. This includes knowing drug treatment programs, that can allow a first-offender to avoid jail time and a criminal record. If this is your first offense, I’ll work to get you into a deferred prosecution program. This means, no jail time. Will see if your case could be dismissed and your criminal record cleared. This is important so your drug arrest won’t hurt your chances for school or career. Many people arrested for low-level drug crimes. 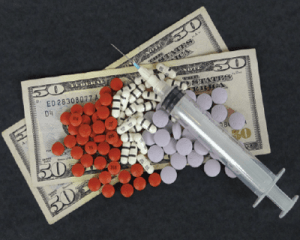 like drug possession and drug sales, have a drug addiction that is spurring the criminal behavior. Tarrant County has several different court programs that focus on treatment rather than punishment. DIRECT drug program is for non-violent offenders who need a highly structured drug treatment program. DIRECT can include outpatient substance abuse counseling, inpatient treatment, vocational services, mental health services, life skills training and AIDS/HIV education. The First Offender drug program is a limited-supervision program for offenders who have good potential to correct their actions. A person could be eligible for this 90 day or 180 day program, if they were facing a first-time charge of drug possession, using in a drug free zone, forging or altering a prescription, or a few other drug charges. The RISE program helps women who have a history of prostitution-related offenses achieve abstinence from drugs and alcohol. The Veterans Court Diversion Program offers treatment options specific to the needs of veterans who have become involved in justice system. It’s for current or past members of the armed forces who have a diagnosis of following things.. brain injury, mental disturbance, or post traumatic stress disorder as a result of service. If I can’t get the charges dropped, then I will always work to get you most favorable handling of your case. Successful completion of drug treatment program may result in charges against you being dismissed so no criminal conviction goes on your permanent record. Call or contact me online to learn about your options in a free initial consultation.